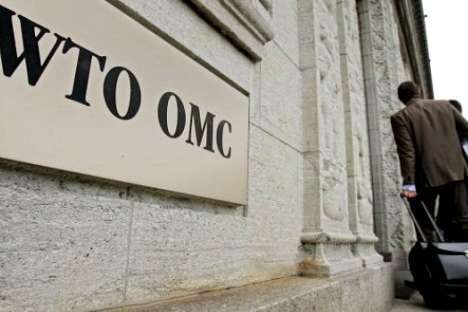 Russian accession to WTO: What are the challenges in store? Voice of Russia’s Dan Moody spoke to Michael Tae, Singapore’s former Ambassador to Russia and founder of the Russia-Singapore Business Forum, about how Russia will fit in the WTO and what challenges are in store. VOR: How do you evaluate the economic situation in Russia now that Russia’s become a World Trade Organization member? I think that impact will not be the same as China, when China became a WTO member. That was great because that was a huge market and it was industrialising very quickly. Russia is a bit different. The economy of Russia is still dominated by energy and it is now in a process of reindustrialising, creating free trade zones, industrial paths, innovation zones. So, WTO I think is strategically good for Russia because it is a message to the rest of the world that Russia is now prepared to live with global rules of shape. This is a long time coming and it is one of the largest economies of the world. It is such an irony that it is not WTO system. I think Russia will overall benefit from this primarily because I think people will now see Russia as ruling economy and when you enter the market, we will have international rules to back on. VOR: What kind of challenges will Russia membership in the World Trade Organization pose to domestic business here? I think Russia like any huge country doesn’t change unless it is forced to change because it is so self-sufficient that it doesn’t really need to change but because of opening of the markets, because of the WTO accession I think every company, every industry in Russia now has to retain its strategy. We are a closed market, we can afford to keep competitors out. Now I think competitors will come in and they will be looking for opportunities to replicate what Russia industries are doing themselves. VOR: Do you think this could force the domestic Russia industries to become maybe more transparent, maybe more competitive in other ways perhaps? Yes, I think that overall impact will be good because companies in order to survive will be forced in a way to adopt international practices, become more competitive and again that is really good for the industries in Russia. I think maybe in the first few years it will be difficult for companies, some companies may fail but I think it is a wakeup call that has long in coming. Every country had to do it. China had to do and China opened its markets, many small shops disappeared, many small industries could not survive but look at the way China is now. Story tells itself. VOR: I think foreign investors perhaps fear elements of stability in Russia? The story about Russia out there is always negative. This is the media. The media portrays Russia negatively. It is almost like an easy target. It sells newspapers, it makes it interesting. When I started Russia-Singapore Forum 6 years ago, my proposal to many of my Russian friends in government and in business was that I need your support to go out to Singapore and tell my Singapore companies and Asian companies that Russia is not as bad as it is portrayed in the western media for example because I live here and. Those who live here know that it is always becoming better and better, becoming more transparent. Yes, very quickly. And that I think is the story that has to be told out there. Russia-Singapore Business Forum is about doing that, it is about helping Russia to market the truth about itself. In a way Singapore is a third party and we are trying to tell the truth. VOR: How feasible do you think is the idea of creating free economic trade zone? In the Russia-Singapore Business Forum every year we feature the regions, especially the regions, innovation zones, free trade zones and industrial zones. The reason is very simple, because Russia is too big for a medium size company. We need to get to Russia. Moscow is really expensive, business cost is expensive but the regions are now beginning to open up and the regions are in a way more flexible, they are more able to take advantage of direct investments from parties of foreign companies for example and offer them some kind of incentives, some kind of administrative support that facilitates the investment and to make sure that it succeeds to prevent for example bureaucrats from intervening, creating bottle neck for setting up the company for example. So, I believe that especially economic zones, free trade zones are really important for Russia because Russia has now to be seen as a place where you operate through the regions as well and not just through the central government. Because the central government has its own bureaucracy and sometimes maybe even more difficult to deal with the regional governments cause the regional governments are hungry. VOR: How would you rate the forum that has been going? For how many years is it going now? 6 years now. So, this is a 7th year. VOR: And each year do you have the feeling that definite progress is being made? What is your feeling as things develop compared, say, now and 7 years ago? Every year there is improvement, I guess it is obvious thing is the numbers because in the first year we had 250 in total, only about 70 Russians came because it was the first forum and now these 70 Russians have never been the same in Singapore. So, in a way that opened the eyes of Singapore into the rest of Asian market. Now we had 800 participants, last 2 years we had 800 participants, about 400 from Russia and CIS and Eastern Europe, and 400 not just from Singapore but Asia as well as the rest of the world. VOR: It is quite well balanced. It is quite well balanced. So, we have 40 countries now. We started from 2 countries, now we are 40 countries. So it is quite fascinating step up. But what for me is the most important in terms of success is the fact that things are beginning to happen on the ground. My first 2-3 years were difficult in a way. We need time to overcome psychological barriers between Russia and Singapore, companies in Singapore were looking at Russia, Russians were trying to move to Asia. So, I think we finally arrived, so over the last 2 years we had some success stories, so one clear example is China airport, it is signing agreement with Sberbank to invest, to develop and many airports of the south. That is an amazing step because this is major Singapore company that has been very successful in running airports, so we are transferring software, not just putting in money. Similarly there are some Russian companies that are beginning to look into Singapore. One recent company has started venture fund of about 100 million dollars looking to invest in Singapore and Russia to build that pipeline of technology between Russia and Singapore. So, those success stories have been in long overdue but I think it takes time. VOR: What are your hopes for the business forum in the future? I just hope that there won’t be cases that will set back everything because it happened in 2008 crisis especially for Russia. I mean you invest in China, America, you know that in a few years you’ll be back because everything will stabilise because China especially has become so globally connected which will not turn the clock and move back investment policies by 10 years. For Russia it is beginning to move forward and so people are still not sure but it is going to move forward in a clear way or in a hazard way or maybe you turn the clock back again. And I think that is what we are trying to deal with through the Russia-Singapore Business Forum just to show that Russia is getting better, not worse, it is not so scary and when you see that they are not different people. VOR: So, I suppose it is important to just bring understanding? Yes. I mean for every year that we’ve done Russia-Singapore Business Forum I’ve had to inject cultural element, the soft side of Russia, I mean Russia on the negative side is cold winters, difficult language but on positive side – potential plus the fact that Russia has always been a cultural civilization; and a young country like Singapore, 50 years old, can learn from a civilization like Russia. So, every year we feature a programme. So, this year I am flying in a Russian jazz quintet to perform at opening party and then to stage the public concert in Singapore and that creates awareness about Russia.